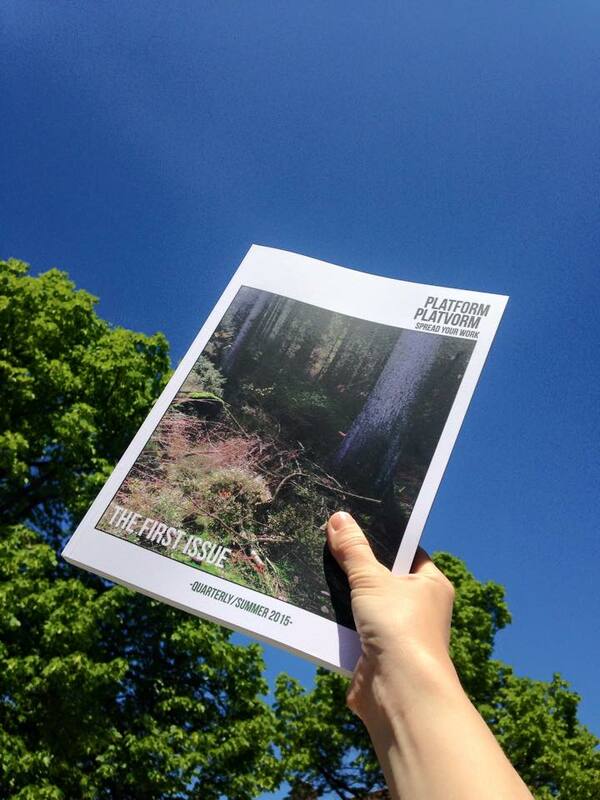 JUNE 2015 // Hanging has been published in the first issue of Platform Platvorm, an artist run magazine. The magazine was launched in June 2015 and includes works by more than 90 artists, a.o. Sara Barbosa de Campos, Fleur Dodewaard, Jan Hoek, Liza May Post, Lotte Reimann, Jonas Ohlsson and Isabelle Wenzel. Have a look inside the magazine on the website of Atheneum Bookstore. The accompanying group exhibition runs from 6 – 18 June 2015 at Bart Invites, Bloemgracht 2, Amsterdam. Open wednesday to saturday from 11 AM to 6 PM. The magazine costs 15 euro and is for sale at o.a. Atheneum Bookstore Amsterdam, in the bookstore of Stedelijk Museum Amsterdam or online.